People are always asking me where to bring their stuff — old TVs, computer equipment, etc. — instead of throwing it in the garbage. So I’ve decided to start a little series on reuse and recycling. Today, we begin with computers. The short answer would be to bring old computer equipment to your local ecocentre, because they will dispose of items containing toxic or hazardous materials in an environmentally safe way. However, if you think there might be some salvageable components, consider bringing your old computer equipment to Insertech Angus. Insertech is a non-profit organization with a social and environmental mission: it specializes in the collection and refurbishing of IT equipment, while employing and training young adults at risk. Each year, some fifty adults ages 18 to 35 work at salaried positions and receive technical training, as well as social support, to help them integrate into the job market. In addition to desktop computers, the company accepts LCD screens, laptops, notebooks, and even tablets. They also accept peripherals and computer parts. Technicians verify the equipment, erase the disks, and then repair, clean and upgrade the equipment to create optimized machines that can be used by schools, community organizations, students, the elderly, or other groups or individuals. The bulk of IT materials collected come from companies. 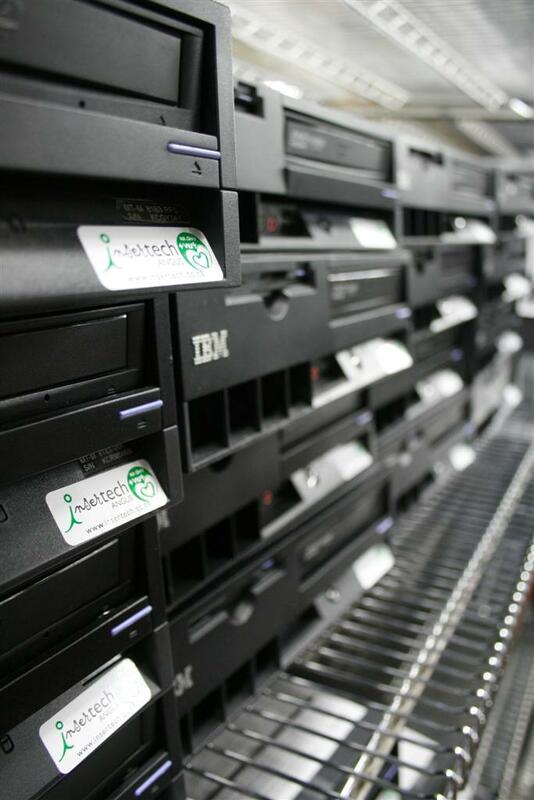 Through its ISO-certified DÉDUIRre program, Insertech offers free pick-up for 15 computers or more in the greater Montreal area, permanent and secure deletion of data from the hard drives, and guarantees maximum reuse of the hardware. If they cannot refurbish the equipment, they will dispose of it in an environmentally sound manner. Insertech can buy the equipment if it’s fully working and possesses the latest technology or, as a recognized charity, they can issue a receipt for tax purposes for the donation of working computers. Companies can also resell the refurbished equipment to their employees. Last year, out of 11,515 units collected (164 metric tonnes), Insertech was able to refurbish 7142 units, or 62%. One item they cannot do anything with, however, is old, bulky cathode-ray tube (CRT) screens. Beaulieu says individuals are better off bringing those to an ecocentre, which will dispose of them (ecologically) for free. Insertech has to charge people $15 to cover the recycling cost.